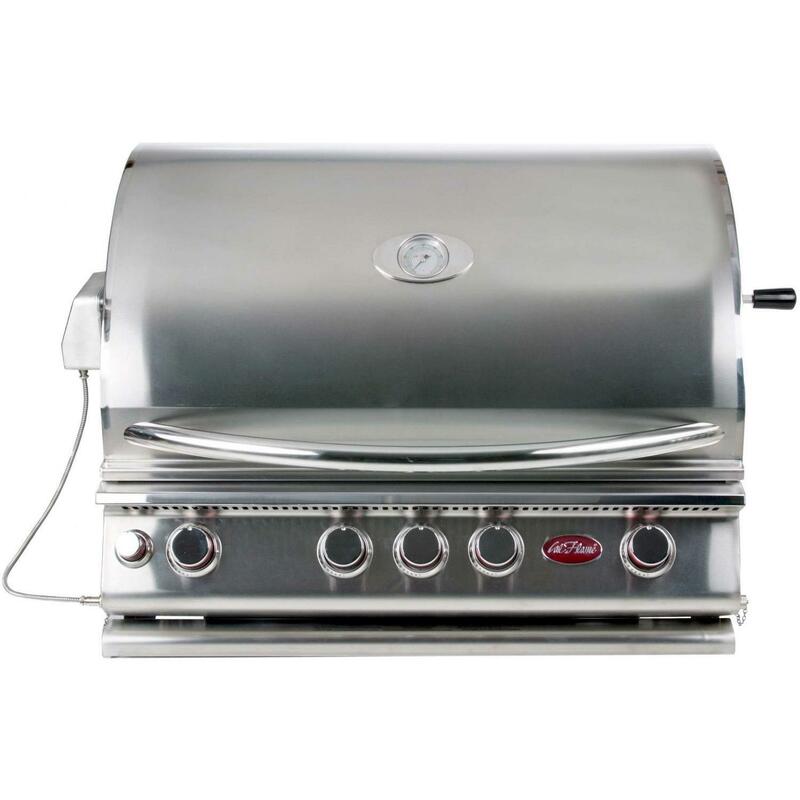 Product Description: Cal Flame 32-Inch Premium 4 Burner Built-In Propane Gas BBQ Grill With Rotisserie. 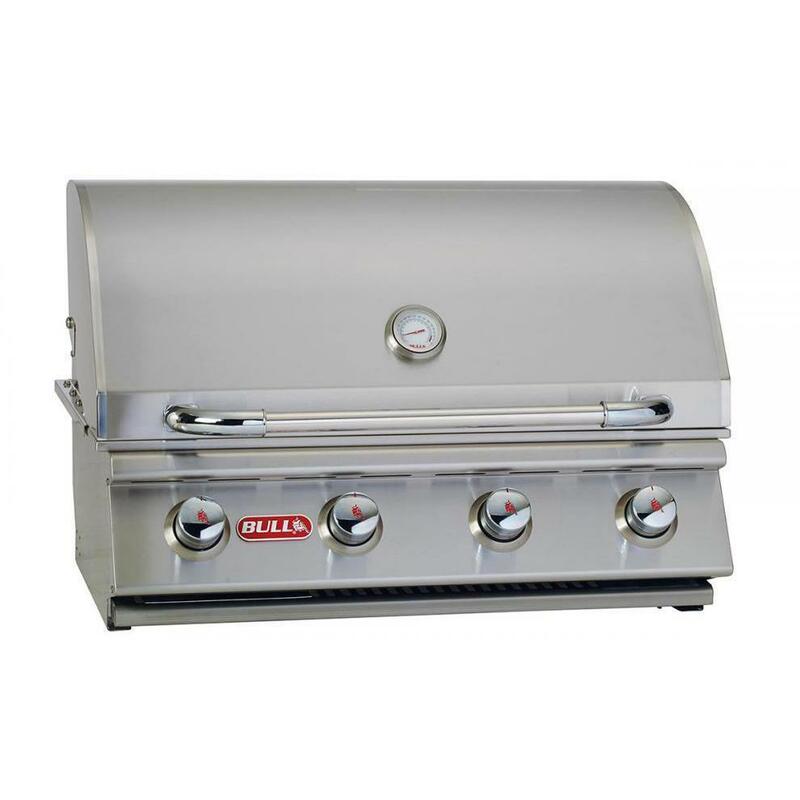 If you are looking for the perfect pro-style grill for your outdoor kitchen, the Cal Flame 4 Burner Built In Natural Gas Grill is your answer. 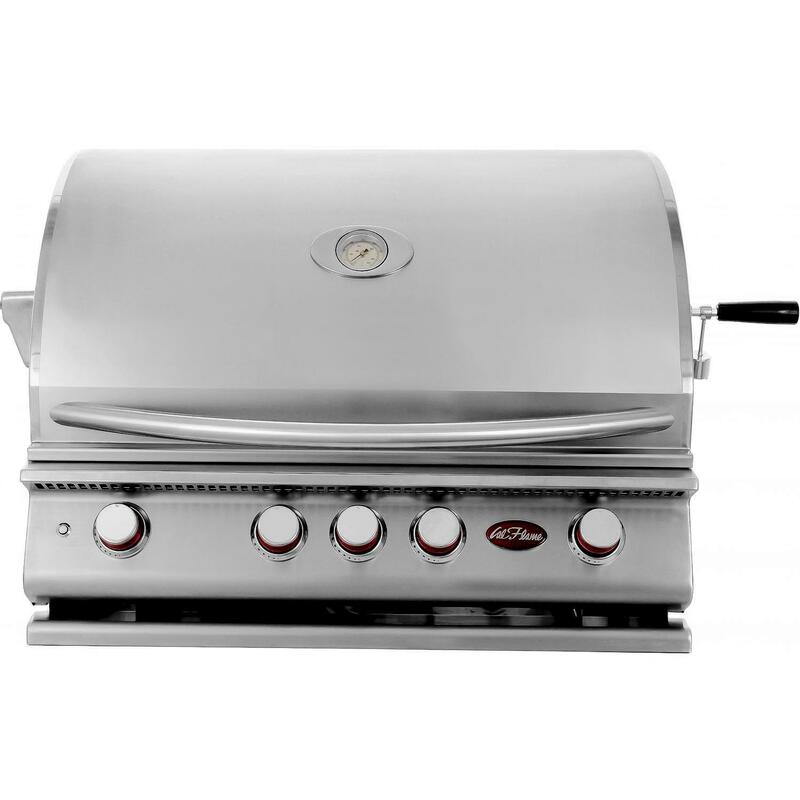 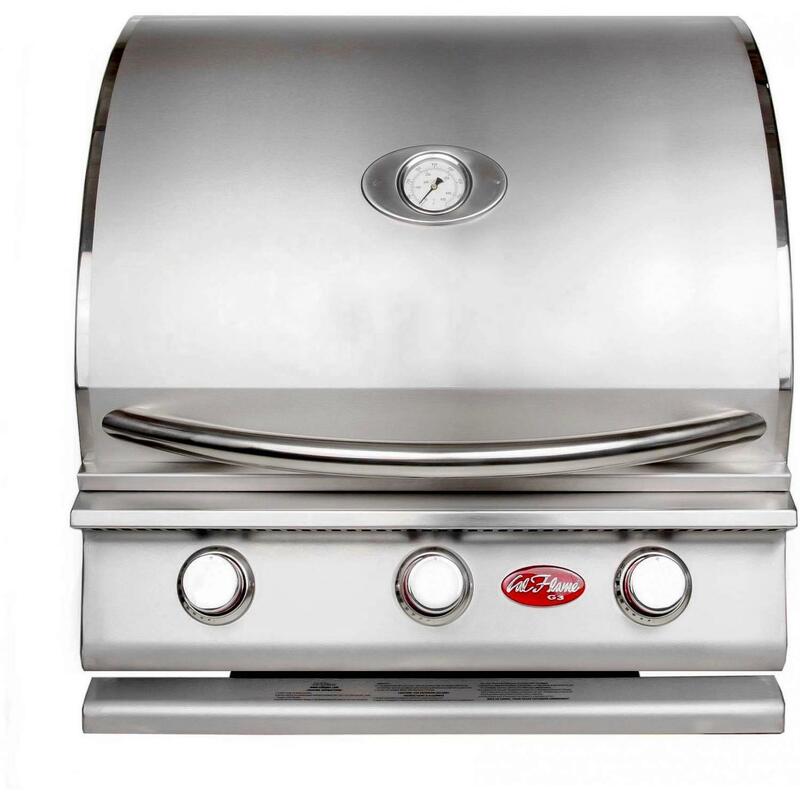 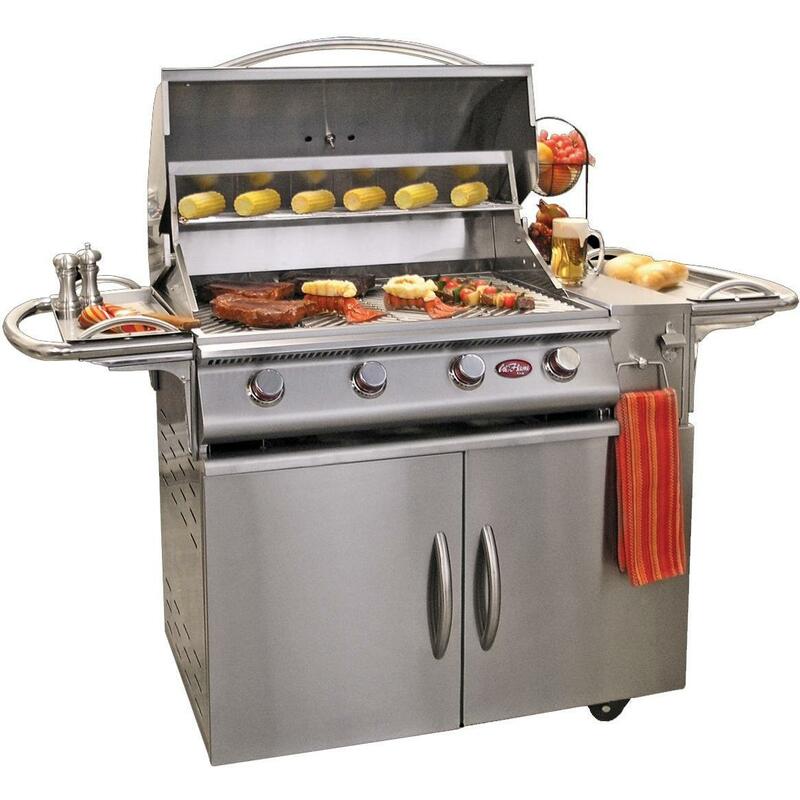 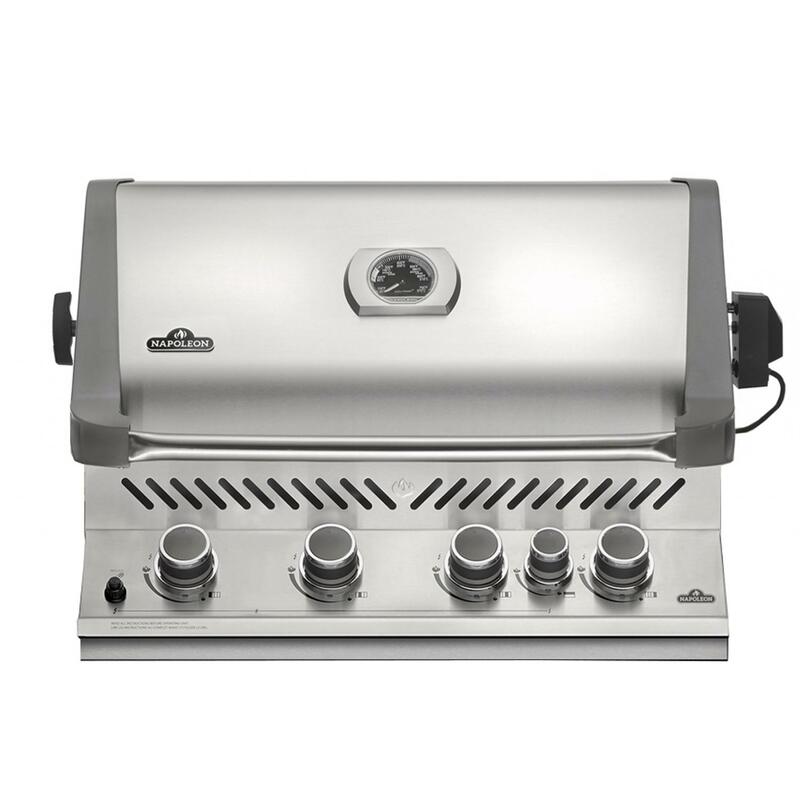 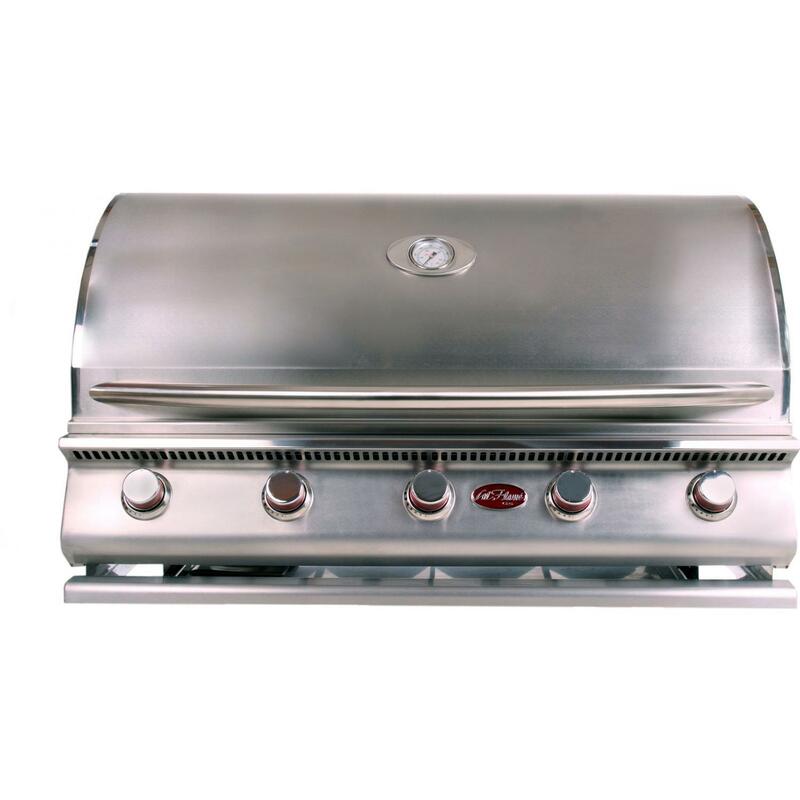 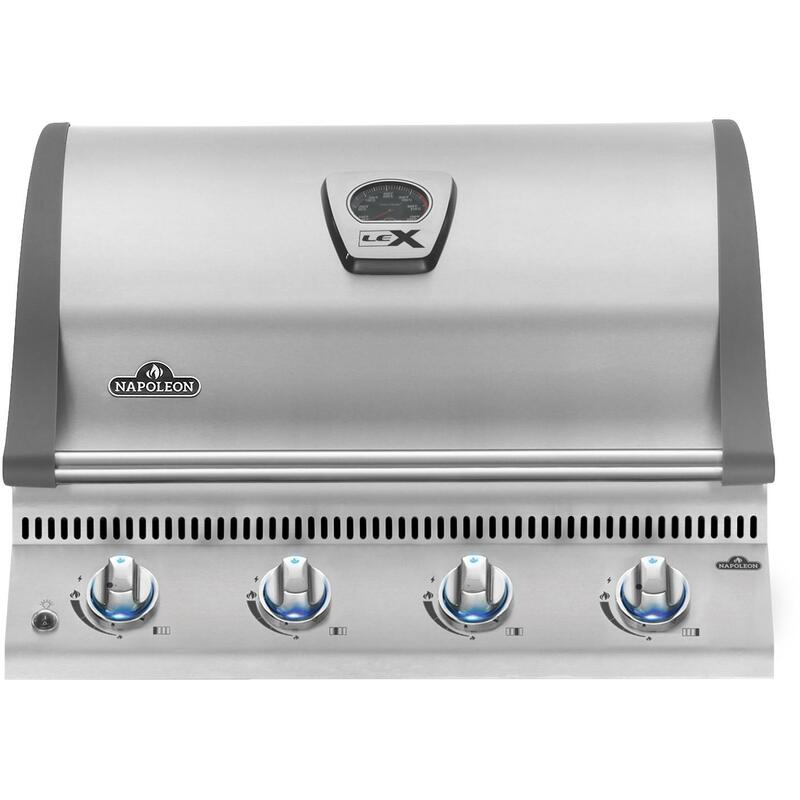 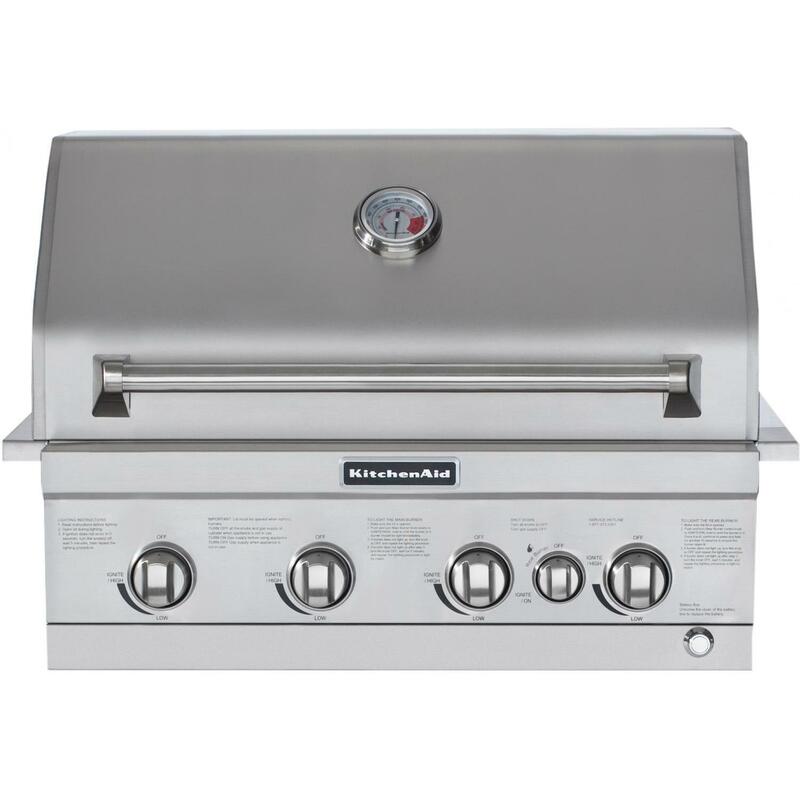 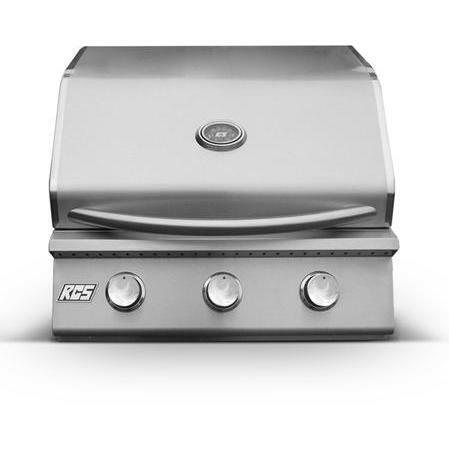 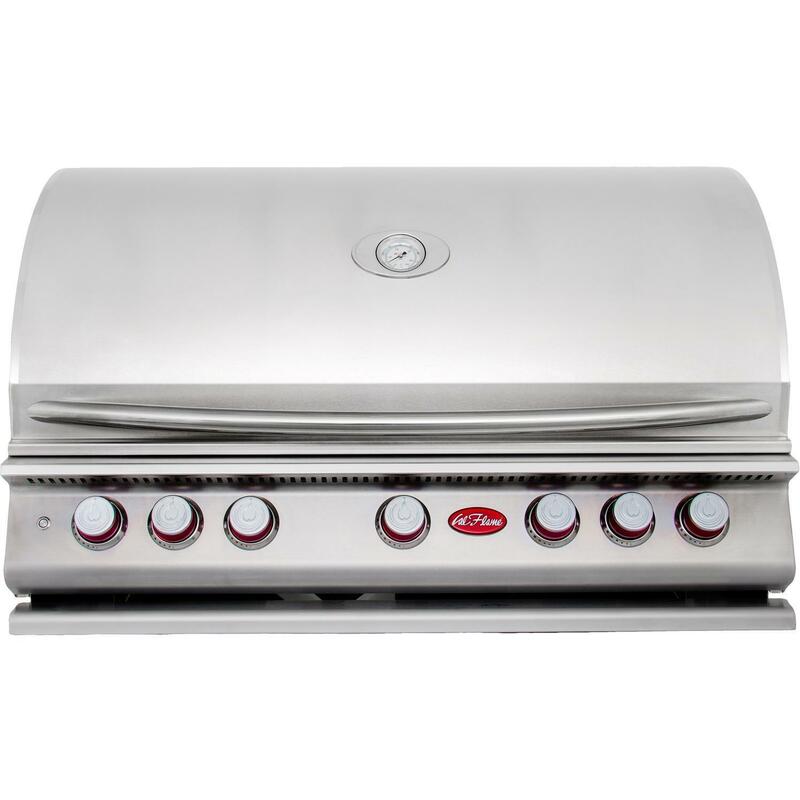 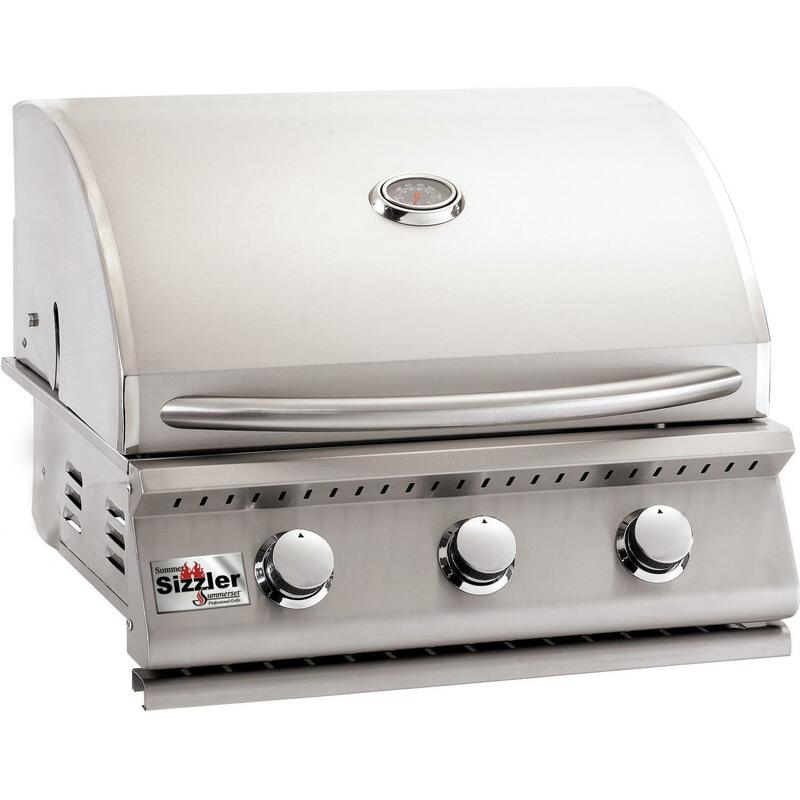 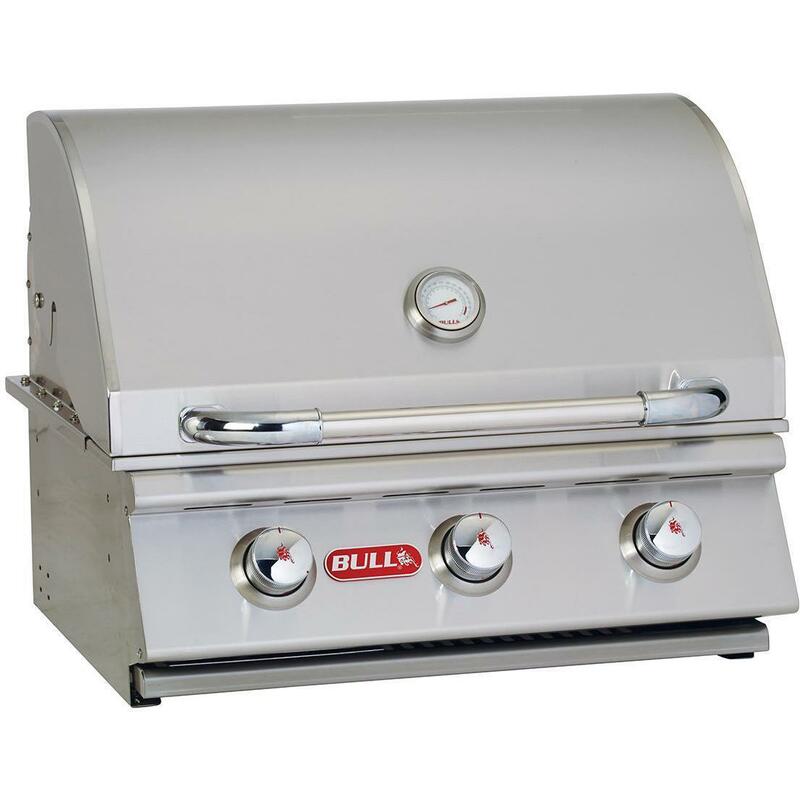 This Cal Flame 32-inch Grill features four 60,000 BTU, cast stainless steel burners each with a reliable easy-start ignition system to get things going and any burner can be switched out with an optional Sear Zone burner or Smoke Tray for enhanced grilling alternatives. 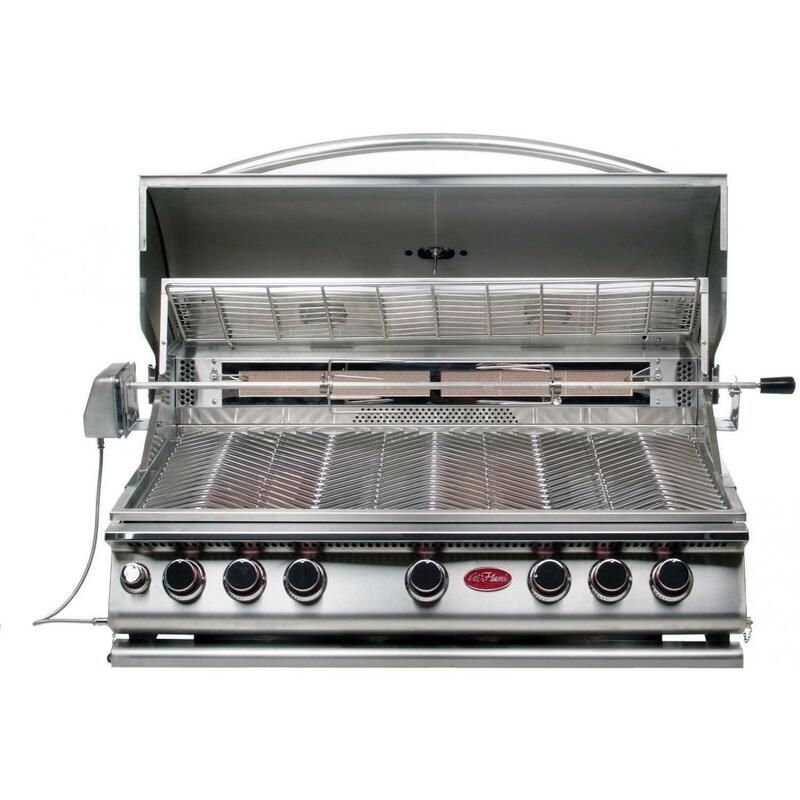 The 800 square inches of total cooking area includes a 2-position warming rack and a full-size rotisserie capable of turning up to 35 lbs with a dedicated 15,000 BTU infrared back burner. 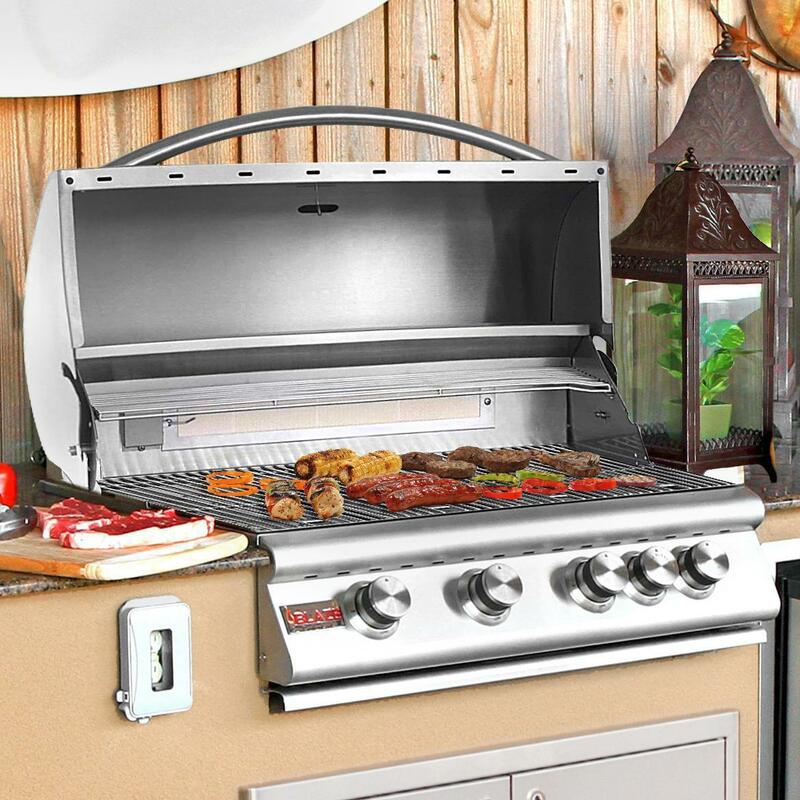 Convenient built-in grilling accessories include interior lights for grilling day or night and a built-in hood thermometer to easily monitor grilling temperature at all times. 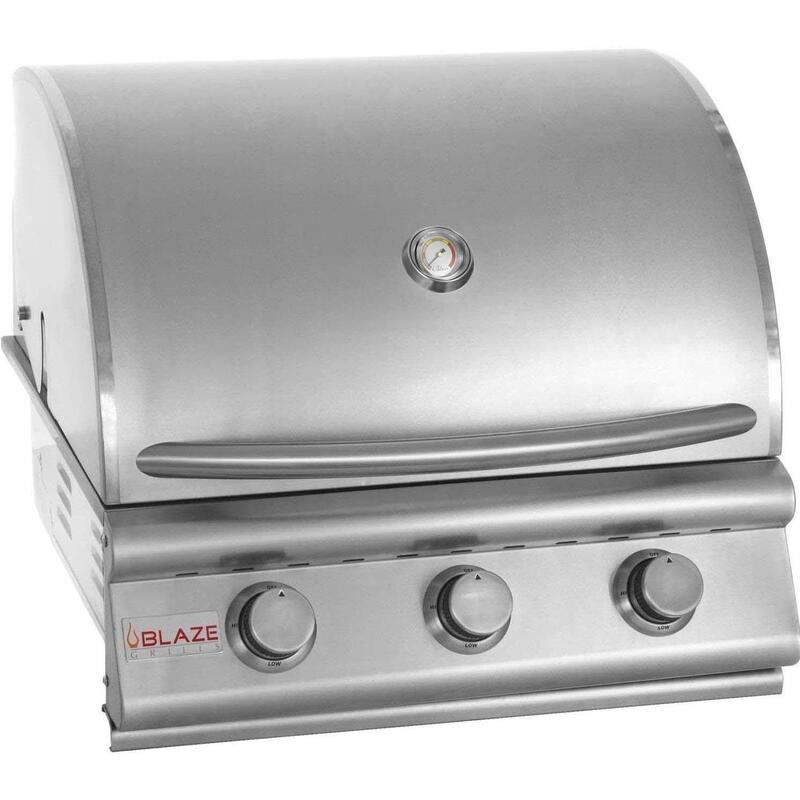 The Cal Flame 4 Burner Grill also has low maintenance design features such as a full width drip tray, lip guards on all burners to prevent clogging and a front splash guard that keeps grease away from the controls. 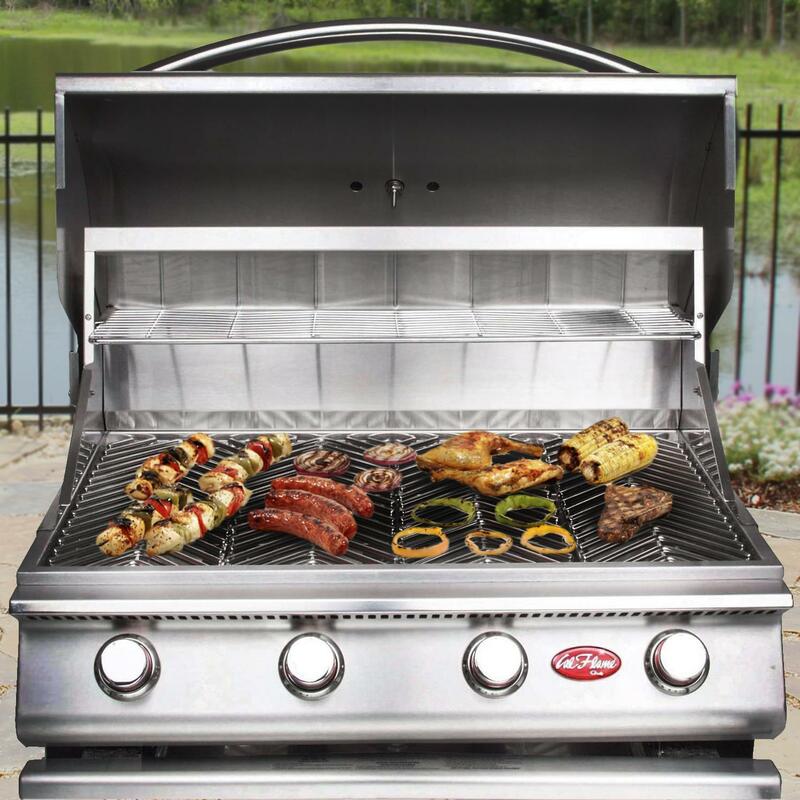 Thanks to Cal Flame, outdoor grilling has never been so easy or looked so good.